It's rare to agree with environment minister Prakash Javadekar. But his ministerial colleague Maneka Gandhi has been making it easier for all of us. Except that Gandhi, who is minister of women and child development, does it by criticising Javadekar. 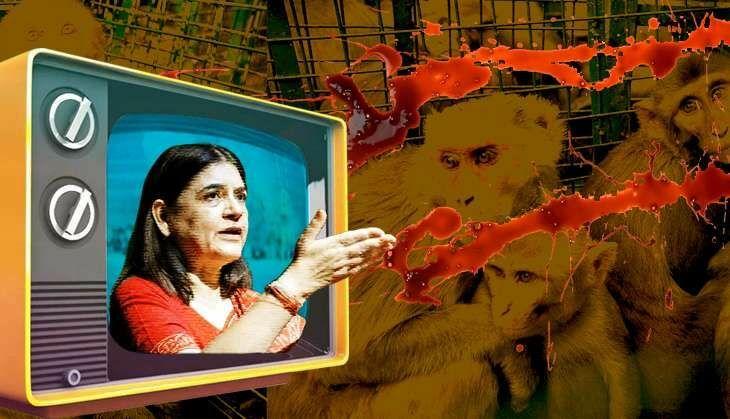 Gandhi made a short statement today to TV cameras, criticising the green ministry for allowing culling of monkeys in Himachal Pradesh, calling it the ministry's "lust" for killing animals. This was followed by some factually incorrect claims. This was not the first time she made me feel sympathetic for Javadekar and his ministry. Months ago, at the Paris climate summit, India had worked hard to present a meticulously balanced discourse. In these summits, historically the Western nations and India have locked horns over the former not taking responsibility for causing global warming. At Paris, while Western nations tried to palm off their responsibility again, Javadekar's ministry did a fine job of rejecting the idea while trying to be constructive about reaching a global agreement. But even as Javadekar, and Prime Minister Narendra Modi, were at Paris strengthening India's position, Maneka Gandhi in New Delhi did the equivalent of upturning a chess board. Standing outside the Parliament, she casually told NDTV: "The West may have done it 100 years ago. But India is one of the main players in destroying the planet." Worse than contradicting her own Prime Minister when international negotiations are in progress, Gandhi's claims were actually factually incorrect and scientifically wrong. Her latest comments on the ministry's lust for killing animals are no different. She said that the ministry was sanctioned the killing of elephants in West Bengal, peacocks in Goa, and monkeys in Himachal Pradesh. This too doesn't stand to fact. The government never allowed killing elephants or peacocks. On 31 May it allowed killing the common Rhesus Macaque monkey in 10 of 12 districts in Himachal Pradesh for one year. The reason is that the monkeys - most of whom were dumped in the hills after being captured in cities - have been destroying crops. The ministry has previously allowed killing of wild boars in Uttarakhand and wild boars and the nilgai in Bihar for one year each. As Javadekar clarified later today, these are all as per law. If he was miffed with Gandhi for publicly commenting on his ministry's work, he hid it well. "I will not react on who said what. But as per the law, we must help farmers whose crops get ruined. The state government sends us a proposal and only then we initiate a step for a specific region and for a specific period of time keeping scientific facts in mind," he told journalists. And he's right. The ministry is empowered under the Wildlife Protection Act to temporarily move animals from being protected to being vermins. According to various estimates, Himachal farmers lose crops worth Rs 500-2200 crore each year because of damage caused by wild animals including monkeys. Human-wildlife conflicts are a difficult to solve. They often require long-term measures, such as not releasing monkeys into the hills, but short term measures are often necessary. The environment ministry, after following due process, has permitted some abundant animals to be culled for a fixed time. It has been far more restrained about endangered species like leopards and tigers, and even with the peacock. In both, she has never followed it up with a formal query to the environment ministry, not even an internal note. It would serve her to restrain herself lest her comments be classified as vermin. Nihar is a reporter with Catch, writing about the environment, water, and other public policy matters. He wrote about stock markets for a business daily before pursuing an interdisciplinary Master's degree in environmental and ecological economics. He likes listening to classical, folk and jazz music and dreams of learning to play the saxophone. New guard for Grand Old Party: does Rahul Gandhi need advice?